We're one step closer to the 2019 Oscars! 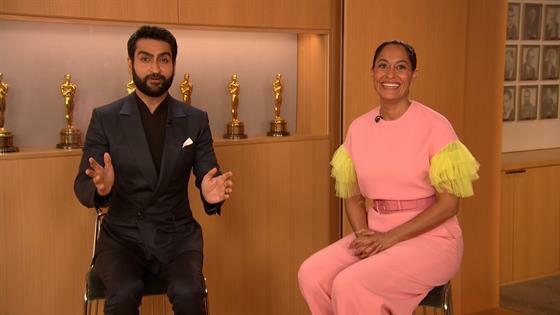 On Tuesday morning, Tracee Ellis Ross and Kumail Nanjiani announced the nominees for the 91st Academy Awards, with A Star Is Born's Lady Gaga, Bradley Cooper and Sam Elliott all receiving nods, as well as Green Book's Mahershala Ali and Viggo Mortensen. Both A Star Is Born and Green Book are also up for Best Picture at the award show. The ceremony, which reportedly will go on without a host for the first time in 30 years, is set to take place on Sunday, Feb. 24 at the Dolby Theatre in Los Angeles. Let's take a look at all of the actors, producers, directors and more who just received an Oscar nomination! For a recap of the 2019 Oscars, watch E! News tonight at 7 p.m.!